The wisdom writer warns: “Of making many books there is no end” (Ecc. 12:12). As it was in Solomon’s day, so it remains today. According to one source, publishers around the globe have produced nearly 2.3 million books this year. On November 20 my book will join the collection. Why add to this endless making? I wrote The Peacemaking Church for three primary reasons. One, there is a story to tell. Not just mine, though I describe my share of personal examples–mostly a number of painful blunders along the way. This is an entire church’s journey. I explain in the introduction that Orlando Grace Church suffered traumatic conflict twice in its history. The painful details bear no repeating. No need to reopen old wounds. Our story begins with a fierce campaign to cultivate a culture of peace to prevent a third meltdown—if we could possibly help it. Thus far, hiccups notwithstanding, we have managed to preserve the unity of the Spirit in the bond of peace (Eph. 4:1-3). That story needs telling. The New Testament reflects that reality. Just observe the sheer volume of texts which address some form of conflict therein! Anyone hanging around church for any length of time will likely confirm the same. It doesn’t matter where you go. It was true in metro Orlando for me. I saw it on a recent trip overseas. It exists right here in my new home in rural Idaho. And it doesn’t take much to set off a firestorm of trouble. In the introduction to my book, I cite Twenty-Five Silly Things Church Members Fight Over to make the point–like the length of the worship leader’s beard! I wrote The Peacemaking Church to add a proactive, stay-out-of-trouble resource to the Baker suite of books currently addressing reactive strategies for dealing with conflict. I ask this question right up front: What if the best fight your church ever has is the one it never gets into in the first place? This approach needed addressing in a book like this. Three, there is now a tool to help. I appreciated every endorsement commending The Peacemaking Church, but Pastor Alfred Poirier, author of The Peacemaking Pastor, well distilled what I hoped would come across in the pages. Out of the pain of church conflict comes a refreshingly biblical and practical guide for building peace, resolving conflict, and preserving unity in the body of Christ. Biblical and practical sum up my hopes for The Peacemaking Church. I wrote it to root church leaders and followers alike in the Scriptures and to equip them with tools which will help make them heavyweight champions of peace and unity in their churches. Copies are available for preorder here and for bulk discounts for ministries here. Thanks for helping me get the word out by sharing with others as led! I resisted blogging for a long time. Too much to do. Not worth the effort. Why bother? Then a deacon at OGC, long since relocated to another part of the country, did a Luke 18:1-8 number on me. He wore me down over time. I relented. I started a blog called “Late Bloomer Reformed.” Long story behind the title. I never regretted listening to John’s voice on this. After 500 plus posts I have seen the Lord work through blogging especially among the precious people I have the privilege to help shepherd. Orlando Grace eventually upgraded its website. The blog made up an important feature of the homepage. I abandoned by blogspot personal blog and went “all in” on our church website. There I have camped out for years. Now I’ve got a new provocateur in my life. He loves me and has a wonderful plan for my life. Last Thursday on our way back from our monthly gospel cohort meeting he asked me if I have a desire to write. “Absolutely,” I said. He then proceeded to tell me in the concise and persuasive method I am coming very much to appreciate what I needed to do. Get my own domain name. Check – curtheffelfinger.com. Start blogging regularly on my own site and cross post to the church’s site and Facebook. This begins now. Build up several years of writing reflectively about the things that matter to me in gospel living and ministry. How long might that be? Lord only knows. Write and publish, Lord willing, in the future. I’d love to write a book entitled “The Peacemaking Church” someday, all things considered. Very ambitious. Not sure about all of this. But I do now that God uses writing. More than one book has changed my life along the way for the better. I would like to make some contribution of a written kind before I check out of this world and go home to the next. Writing an article for Tabletalk Magazine got me hooked. I desire to do more, again, only if it pleases Him. 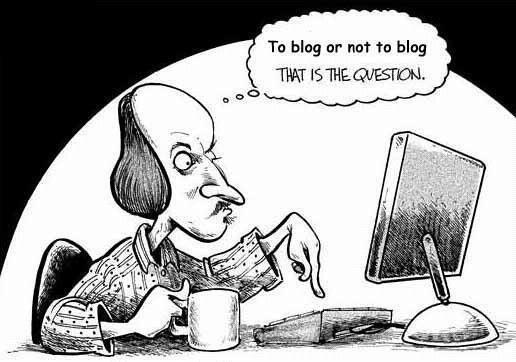 The first exhortation about blogging bore fruit. I wonder what will come from the latest. Let the journey continue. Thanks, Mike. This post I dedicate to you, my friend.